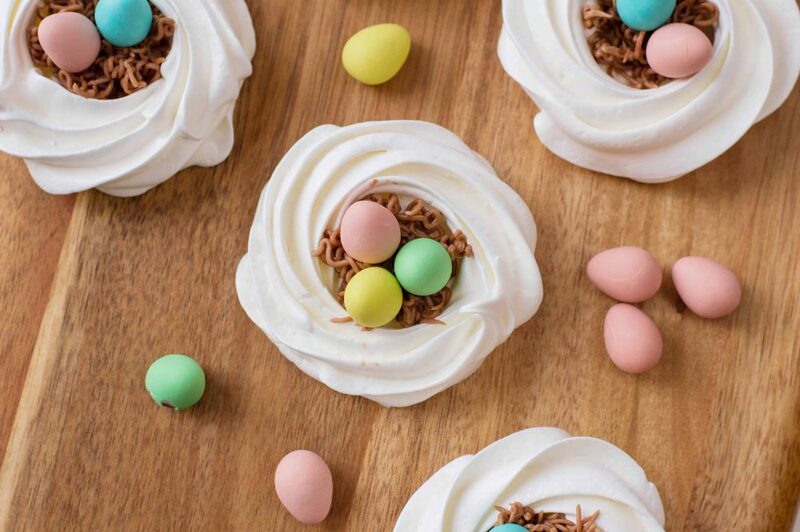 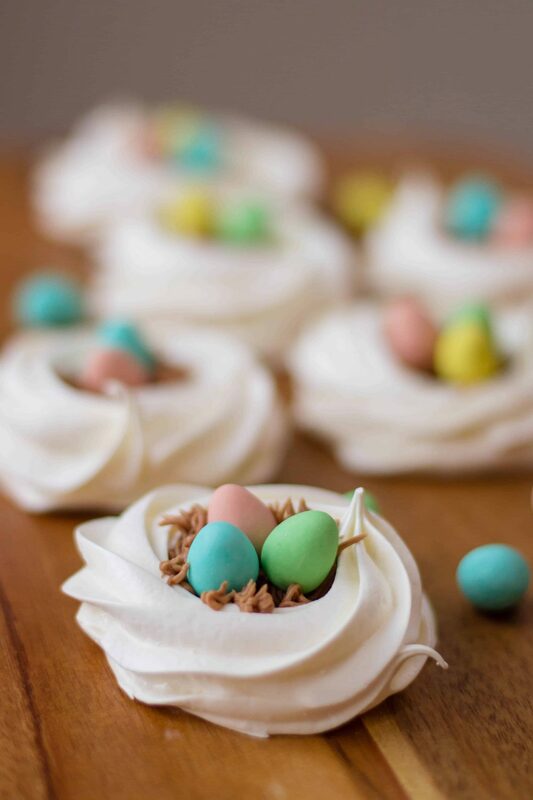 These Bird Nest Meringue Cookies are the perfect Easter recipe and will have everyone oohing and ahhing about how cute they are. 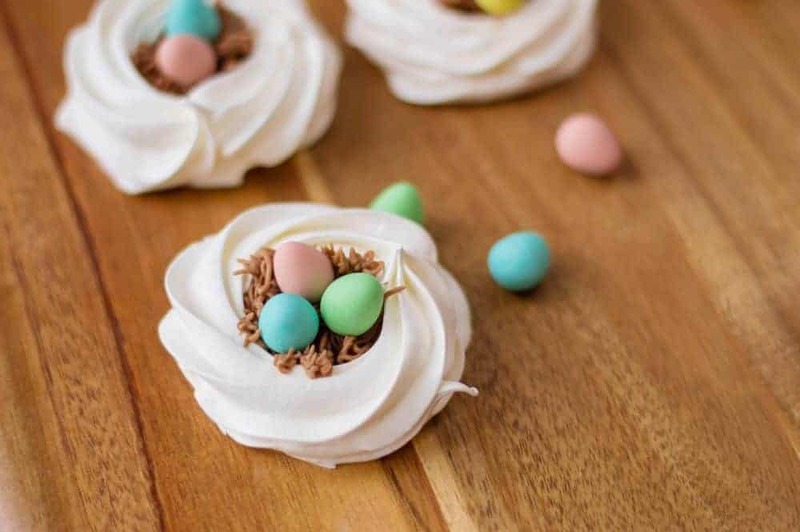 Whenever I see these meringue cookies, I think they just scream springtime to me! 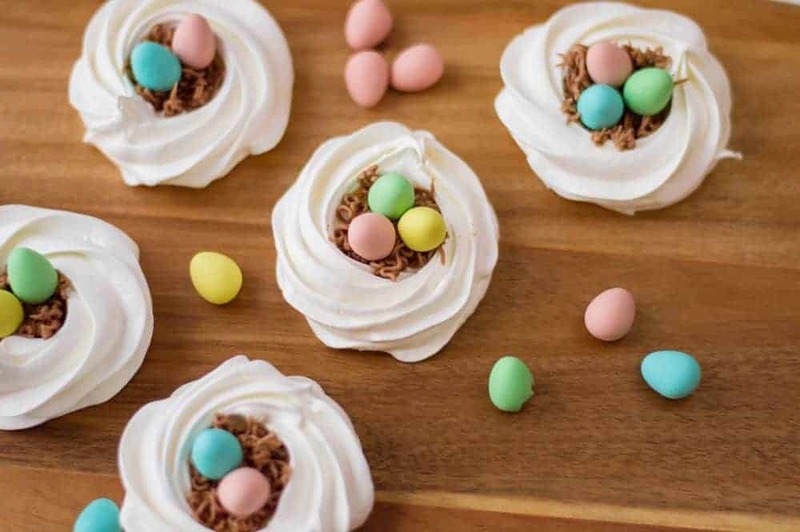 I love that they include my favorite Easter candy, Cadbury Mini Eggs and that they are so much easier to make than they might look at first sight. 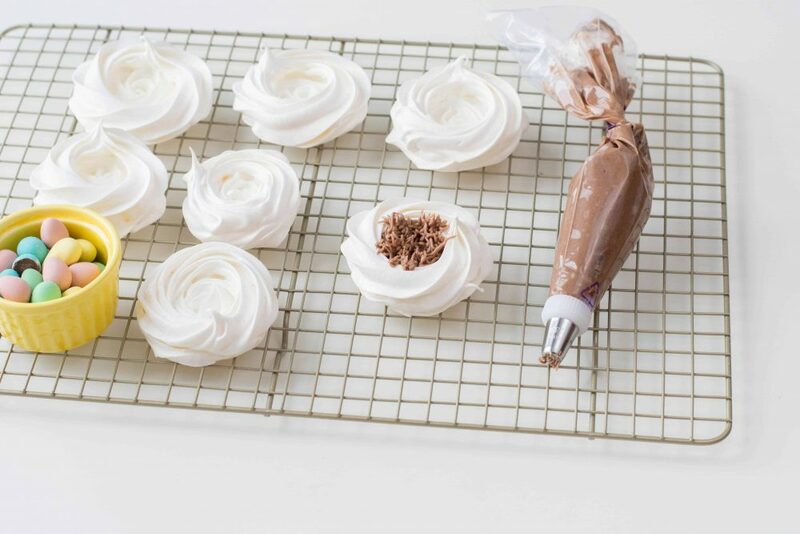 This recipe yields: 6-8 meringue cookies. 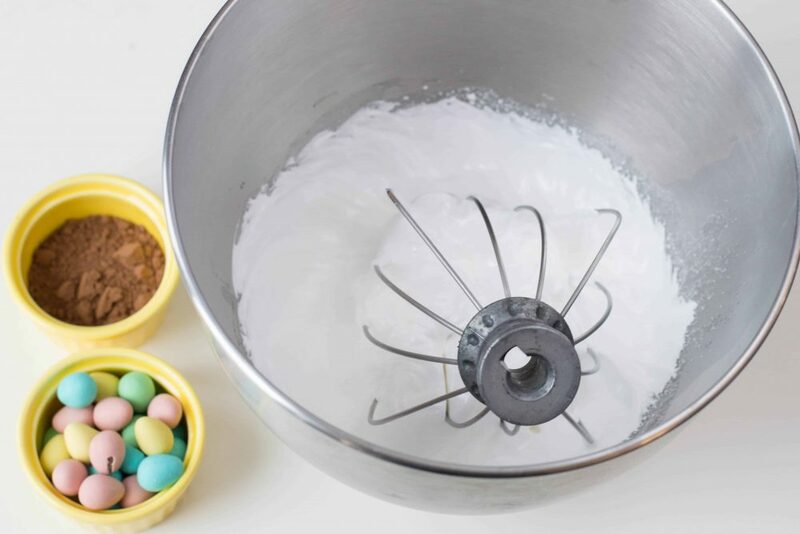 Using an electric mixer , start beating egg whites on slow. 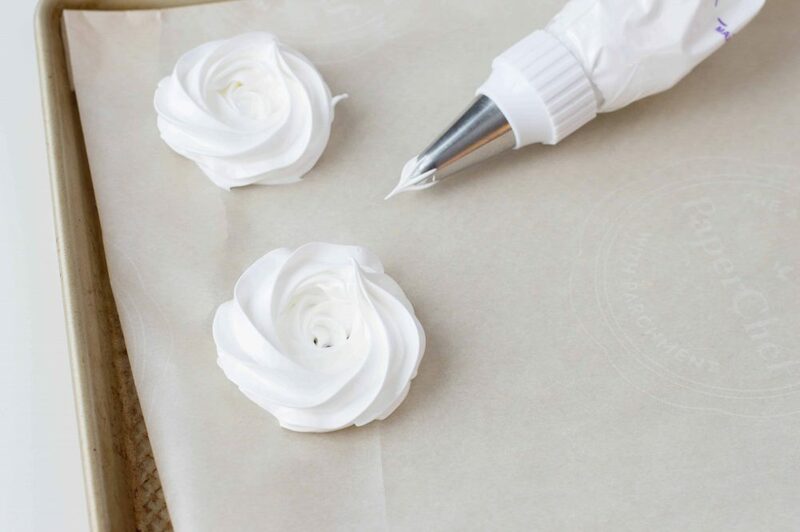 Once the meringue mixture is done, scoop it into a piping bag , with Wilton’s 1M tip attached. 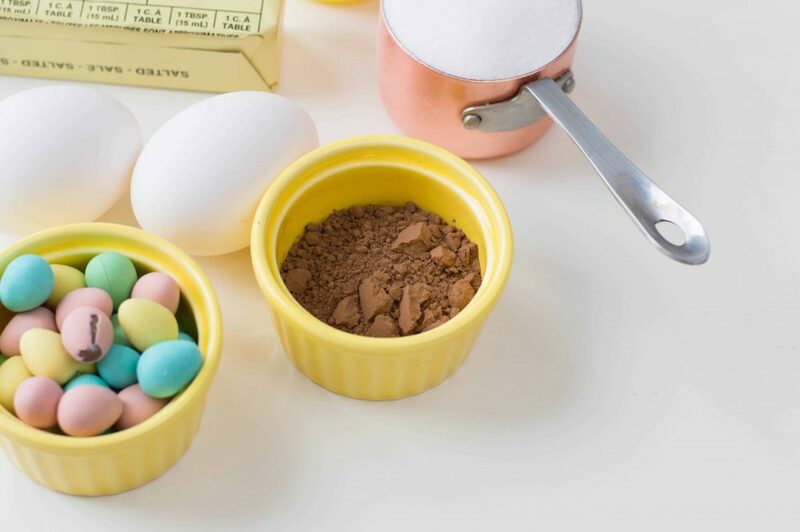 Using an electric mixer, beat together butter, confectioners’ sugar , cocoa powder and milk.